TransLink may implement a "grace period" for bus riders who fail to "tap out" as they exit. 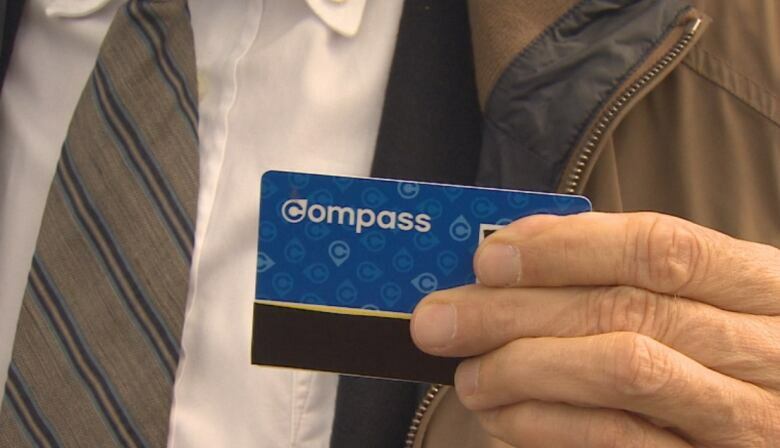 TransLink says it is still trying to solve a problem with its controversial Compass Card system and it may implement a "grace period" for bus riders who fail to "tap out" as they exit. The company insists it is committed to the program and the tap-out function in the long-term, but acknowledges there have been problems with error-rates with card validators on buses, causing users to take longer to tap out than the fraction of a second required by TransLink. "We are exploring an option that is in our contract that allows us to implement a temporary grace period for tap-out, so customers aren't inadvertently charged for not tapping out," TransLink vice president Colleen Brennan told CBC Wednesday morning. "There's been progress, but we want to continue to make improvements with our supplier." The card validators on buses ensure Compass Card users are only charged for the zones they travel. Normally a failure to tap out would result in users being charged for the maximum number of zones on a route. The $194-million Compass Card system has been delayed for more than a year, with about 85,000 cards in circulation — only 10 per cent of the company's goal. "We are actually going to be issuing an update on that, on the Compass Card project, today or tomorrow. So we will be moving forward on the next phase of our rollout," Brennan said. "You have to get it right for your customers the first time. Don't go until you are 100 per cent ready to go."